It is the season of biopics in Bollywood, isn’t it? Now, we had ‘Thackeray’, which is based on the life and times of Shiv Sena supremo and founder late Bal Thackeray getting released. The film received mixed reviews from the critics and it is off to a slow start at the box office on Day 1. According to a report in Box Office India, ‘Thackeray’ grossed around Rs 2.75-3 crore on Day 1. 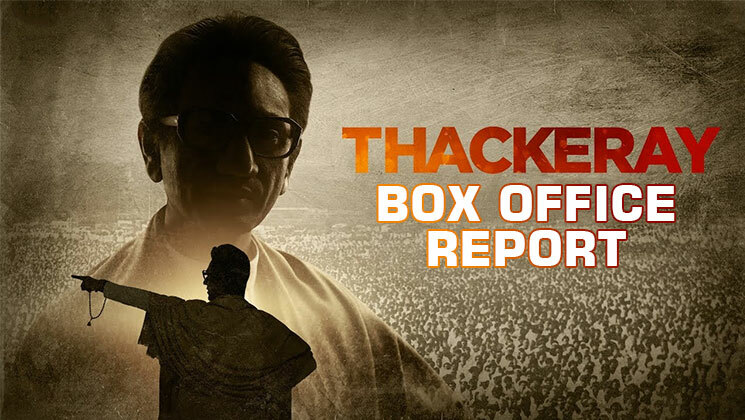 The film has Nawazuddin Siddiqui playing the larger than life character of Balasaheb Thackeray and the consensus is that he has done a decent job. ‘Thackeray’ is being produced by Shiv Sena leader and Rajya Sabha MP Sanjay Raut. On the other hand, Kangana Ranaut‘s ‘Manikarnika’ has done business worth Rs 8.75 crore on Day 1. Nawazuddin Siddiqui has tried his level best to match the charisma and persona of late Bal Thackeray on screen. The film deals with many controversial and sensitive topics. amrita rao has portrayed the character of Thackeray’s wife Meena Tai. ‘Thackeray’ is also facing stiff competition from Kangana Ranaut starrer ‘Manikarnika’, which released on the same day. The Republic Day Holiday and weekend would come in handy for this film to increase its business in the upcoming days.